This Louisville Basketball schedule is going to end up one of the toughest in the country and maybe the toughest when all is said and done. The grind continues tonight with Michigan State coming to town. With the grind another opportunity for a big win. Izzo has another good basketball team. The Spartans have won 4 straight after that opening loss against Kansas. They beat a decent UCLA team and Texas team during that stretch. Our Cardinals will face the best backcourt duo they will play all season tonight. In their last game against Texas Joshua Langford and Cassius Winston accounted for 49 points, 9 rebounds, and 10 assists. These guys have played side by side for over 70 games. I think they even room together. To say they have on-court chemistry is an understatement. In saying that I think the obvious key to a big win tonight is trying to neutralize those guys and force the other guys around them to make some plays to beat you. But it’s not just about the scoring on their end that concerns me. 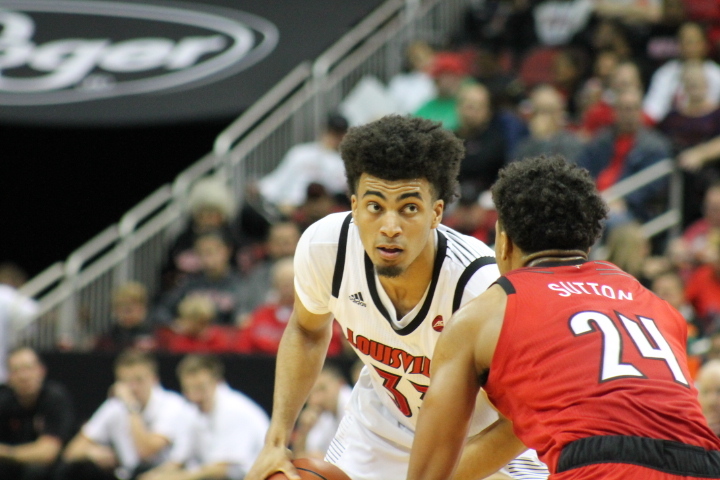 This Louisville team enters this game with 3 guys Nwora, Perry, and Enoch averaging in double figures. VJ King was another but has dropped below that average. This group is at its best when they are all contributing consistently. If the Cardinals can play some solid defense and hold their guards in check along with having a balanced attack on the offensive end of the court I can see us coming up with a big win tonight. But all of that is much easier said than done. I’m interested in seeing how our guys come out tonight after that gut-wrencher against Marquette. Can’t let one tough loss drag into the next one. Was something that was an issue last season. Gotta be Unbreakable. Looking forward to this one. L’s Up! This entry was posted in BEAK BASKETBALL BREAKDOWN by ru4uofl. Bookmark the permalink.